I've recently been doing some work on it here and there, but if I want to go any further I need a tune. I checked my service manual and serial number and it seems like I'm running the older, incompatible ECU with the early pinout that can't be flashed or tuned by any of the popular programs. At the moment, I plan to swap my engine harness out for a later model G35's harness and drop in the newer ECU. Anyone see any issues with this plan? 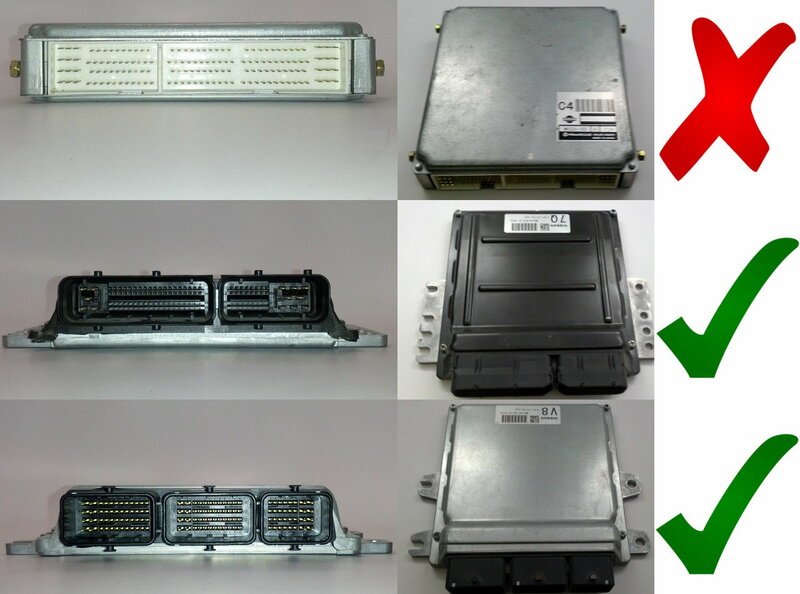 The transmission controller is entirely separate and based on what I've seen in the manual, the ECUs don't differ between manual or automatic (or even between G35 and 350z!). If I did end up dropping in a new harness, say from an 04 G35 Sedan, along with that ECU, would I have any major issues that you guys might know about? Would I be able to start up immediately or will I need to do all this at a shop/dealership that can flash some kind of default stuff on to get me going? None of this is really my specialty, I've just been doing a bit of reading lately so I probably have big holes in my knowledge. If anyone can help me out here or bring me up to speed on why the old ECU isn't tuneable, I'd really appreciate it! You will also need to program the ECM to accept the BCM and TCM, this can be done with the Nissan Datascan 2 software on a PC. Check out this thread, the BCM decoder link might still work and save you a few bucks. I'm also pretty sure the ECM is transmission specific, maybe it was AWD/RWD specific, can't exactly remember. They are also specific based on iKey or regular key. And you will be switching to dual electric fans instead of 1 electric / 1 mechanical. I think the best thing to do would be find someone with a 2003 coupe with the newer ECM and get the part numbers off the ECM/TCM/BCM/IPDM. Unless you have some kind of attachment to that exact vehicle it would be a LOT easier (better) to just buy a newer version that is tuneable. Ah damn. I have a bit of attachment to it, it's my first car. If that's the case I think I'll just leave it untuned for a while until I can settle my mind on an option that I don't second guess. Is there any particular reason why these ECUs can't be tuned? Is it that the software isn't set up to interface with them since they aren't the most common version of the unit (only on early 03 models), or is it just that it can't be flashed at all for some technical reason? Also: I'm getting my info about the manual/automatic ECUs being the same from the manual, but that's all theory. There could be minor differences that would prevent them from being swapped out easily. All I saw was "Type 1" and "Type 2", and one of them was only for early automatic models and the other was for all automatics after a certain serial number and all manuals. Anyway, my new plan at the moment is probably going to be a Haltech Elite 750. I'm gonna start researching its compatibility, but if it's able to work fine with what I'm running it's ideal for me since I have a friend with the software who knows how to use it. Last edited by cfitz22; 02-13-2019 at 07:04 PM. Anyone interested in working with OPENECU group to develop G35 compatible version? How long after G37 release will we see price drops on early model G35 coupe's ?